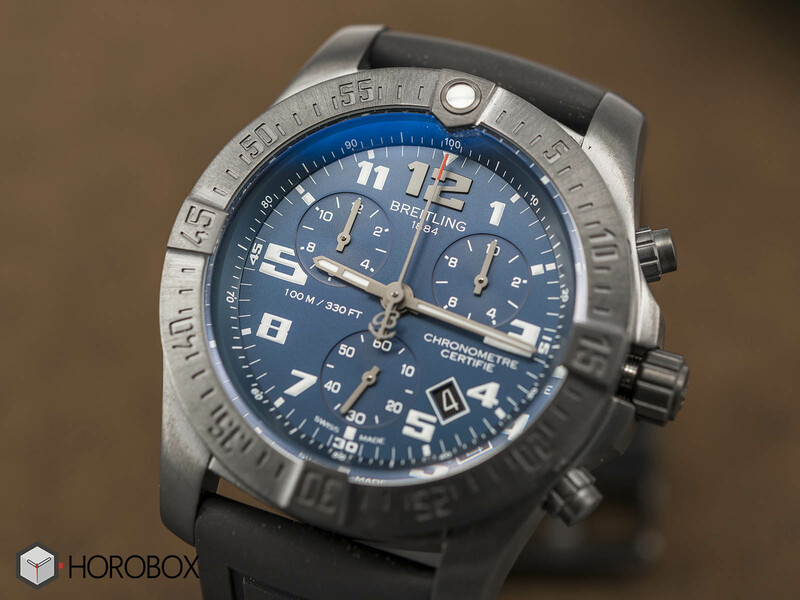 Breitling, which is one of the first brands that come to mind when it gets to aviation-oriented models, is the guest of Hands On corner with its Chronospace Evo Night Mission model that was added to the brand’s product line last year. The model, which is listed in the brand's Professional Collection, is offered in a case measuring 43mm in diameter and 12.6mm thick. 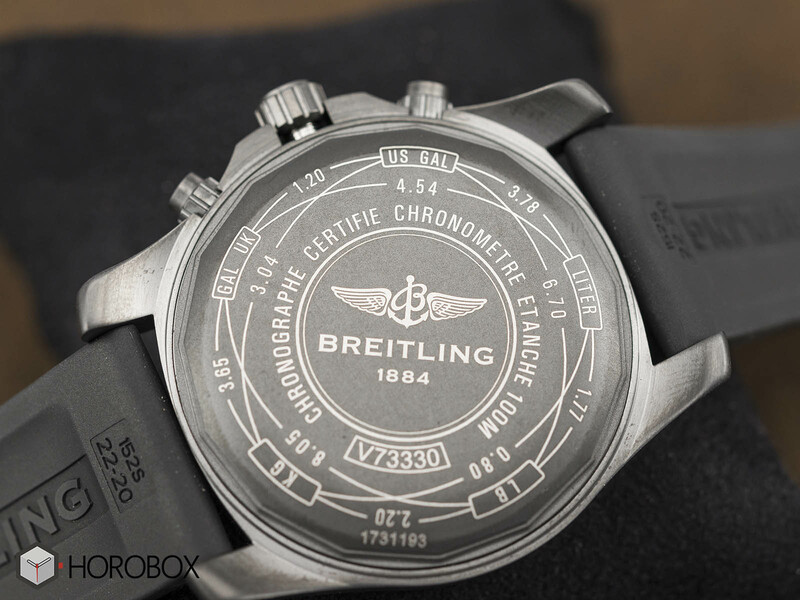 The case is made of Breitling’s highly acclaimed Black Titanium in matt finishing. 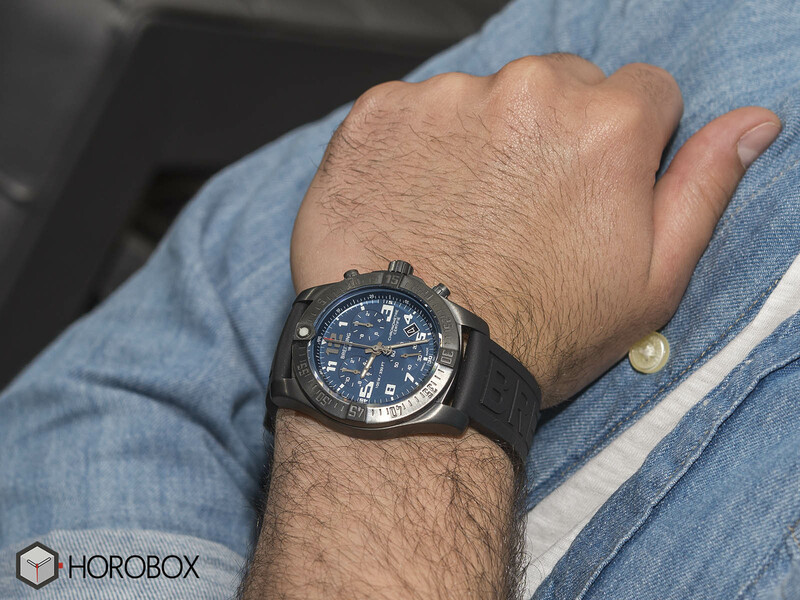 Sporting a double AR coated scratch resistant sapphire crystal on the front face and a solid metal caseback at the rear, the case is water resistant to 100 meters. Featuring the brand’s classic uni-directional rider-tap bezel, the case offers a comfortable wear with a total weight of 67.38gr. 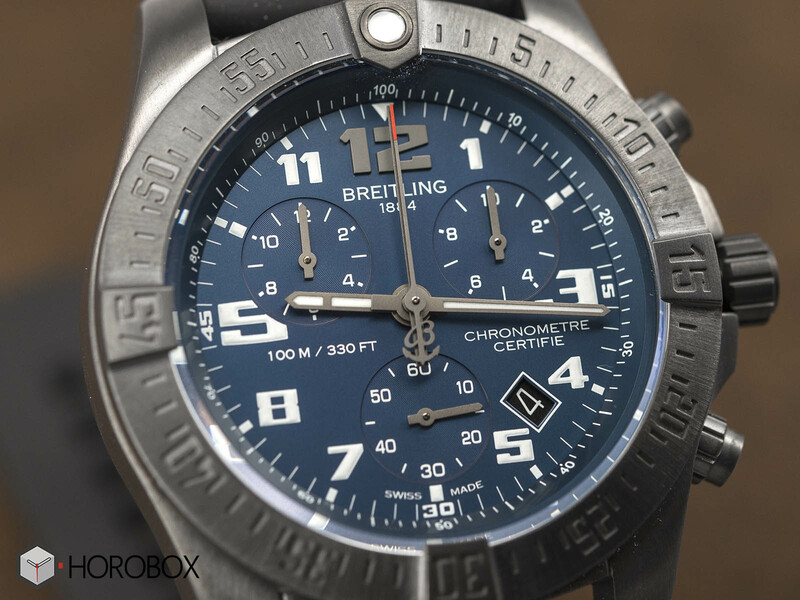 The dial features the typical Breitling design details. Finished in a striking blue tone which is still quite popular nowadays, the dial features a Tri-Compax chronograph lay-out. The stylized Arabic numeral indices and contrasting white hands provide clear legibility in virtually any environment while the night time visibility is improved with SuperLuminova application. The date display is located between 4 o'clock and 5 o'clock. Breitling Chronospace Evo Night Mission is powered by the brand’s high-tech Caliber 73. SuperQuartz ™ movement is certificated by COSC (Swiss Official Chronometer Testing Institute) certification, which we are generally familiar with from mechanical watches. Offering ten times more precise time-keeping than standard quartz calibers, the movement is equipped with a 1/10scn chronograph, split minute and fast time zone change feature which allows the use to change the time zone without actually stopping the watch. Breitling Chronospace Evo Night Mission comes on a Breitling signature Pro Diver black rubber designed to match the sporty character. The strap is secured by a Breitling signed tang buckle. The list price of the model is CHF 5010,00.